In 2001, brothers Eric, Richard and Garrett Browning took their love of fabric, their experience in the industry, and their business acumen to create a new store that would elevate the selection and level of service available in the St. Louis area. They knew what customers were asking for great access to products, and customer service built just for me. With that in mind, The Fabric Co. opened that year in the quickly growing Chesterfield Valley, and soon gained a reputation for providing an extensive selection of in-stock fabric, trim, accessories and furniture. 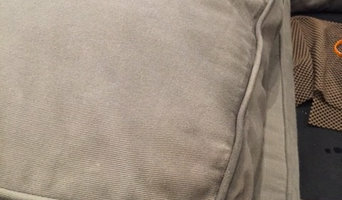 Fiber Seal is the premier name in fabric protection. Since 1971 we have been providing a family of products that can be used on all soft surfaces such as specialty rugs, carpeting, upholstery, wall coverings, draperies and panel systems - including the finest silks, wools, leather and more. We are experts in the care of furnishings for the finest homes, corporate offices, private clubs, medical facilities, hotels, yachts, jets and other specialty interiors. We understand that when you've created a first class space, you want it to stay that way. Peacock Upholstery & Furniture has been in business in St. Louis since 1941. The company originally built all the custom furniture for both the Craig and Lammert furniture companies at their original location on Big Bend in the Old Orchard section of Webster Groves. Current owner, Steve Hasenbeck began working in his father's upholstery shop at a very early age and was an accomplished upholsterer by the time he was 18 years old. In 1990, Steve purchased the former Haas Bakery building at 6700 Morgan Ford Road and moved the operation into its current location. Steve and his staff of professionals perform a wide variety of upholstery and restoration services on fine furniture and antiques, in addition to building custom furniture. Their work can be seen in some of the finest homes and offices in the area, including the Missouri Governor's Mansion. Feel free to contact us, we'd love to hear from you! WaymansWay Upholstery is locally owned and operated upholstery business, servicing customers of St. Louis, Missouri and the Metro-East (Southern Illinois). WaymansWay Upholstery is like having your own personal staff right at your fingertips! The company is based on the belief that the customers' needs are of the utmost importance.We are committed to meeting those needs. As a result, a high percentage of our business is from repeat customers and referrals. We can come to you with sample books & for decorating consultation appointments. We provide pick-up & delivery for free within reasonable mileage. We may need to charge a small fee if you are further away. Our passion is giving new life to well loved furniture. We specialize in furniture restoration and upholstery. We also offer custom builds and stay up to date on the latest paint trends and techniques. We use a wide selection of quality products that guarantee durability and performance. We are excited to announce that we have recently became an authorized agent of Barrow Fabrics and look forward to being able to offer their beautiful selection of fabrics to our clients. Hand-picked recommendations of the best product designs from Artistic Fabrics. 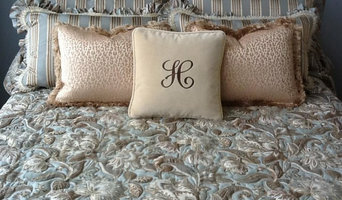 At Artistic Fabrics, we specialize in home decorating fabrics. We stock 1000's of the latest fabric styles and colors. Save up to 50% and more compared to decorator book prices because Artistic Fabrics buys Mill-direct. Save even more on specials, closeouts, and remnants. Be your own home decorator or bring your decorator to our store, or online store and experience great values for your home. We strive to help you make your home decor decisions in a friendly, low-key atmosphere and utilize our stores resources on your behalf. We offer experienced home decorating advice, ideas and displays. Come in and see us today or we also have a large very popular online store so everyone can buy fabrics online from Missouri, Illinois,Virginia, Texas, Florida to California, New York to North Carolina. 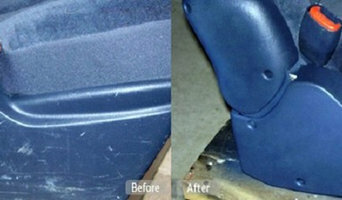 We offer leather, leather furniture, and auto interior repairs. Whatever the case may be, St. Louis Leather Repair can help by transforming your leather furniture back into the bright and spotless piece of furniture that it once was. As a furniture designer/ manufactuerer we make unique statement pieces for the home. 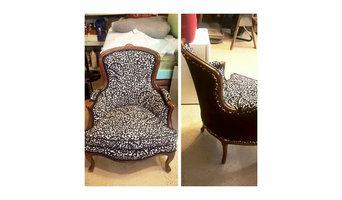 This is done by reupholstering or refinishing vintage furniture or creating our own custom furniture and decor pieces. We are a digital marketing company but often times assist with the entire "marketing experience" which could be space interiors. Re-upholstery/upholstery repair includes redoing/outfitting items like chairs and sofas with springs, padding and fabric coverings. This can also include adding fringe, piping, tufting or additional decorative elements to a furniture piece. They can also advise you about the pros and cons of different fabrics so you can choose the best type for the project in your Murphy home. Find Murphy furniture repair professionals on Houzz. Narrow your search in the Professionals section of the website to Murphy, MO furniture repair.